are looking for a community where this vocation can be explored and nurtured. This program is designed to assist both lay and ordained people in their spiritual lives and to train them in the important work of being soul-friends to others. Participants are in residence four weekends each year. 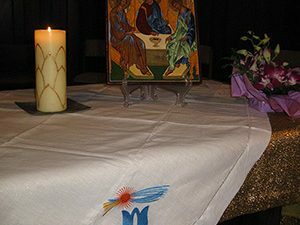 Each weekend features lectures, workshops, quadrads, and seminars on spirituality and spiritual direction, plus regular worship drawn from various Christian traditions. Application form Please refer to the Life History document as a guide to preparing your spiritual autobiography. Your application must include a letter of recommendation. If you are applying for the Program you must be able to attend all the designated weekends.